Something new is coming to the Flying Unicorn! 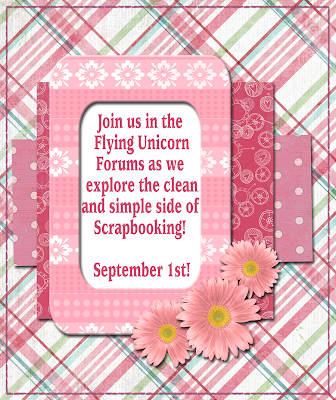 Are you looking for some tips on how to get started scrapbooking? Do you really enjoy clean and simple layouts and cards, does the traditional side of scrapbooking appeal to you? 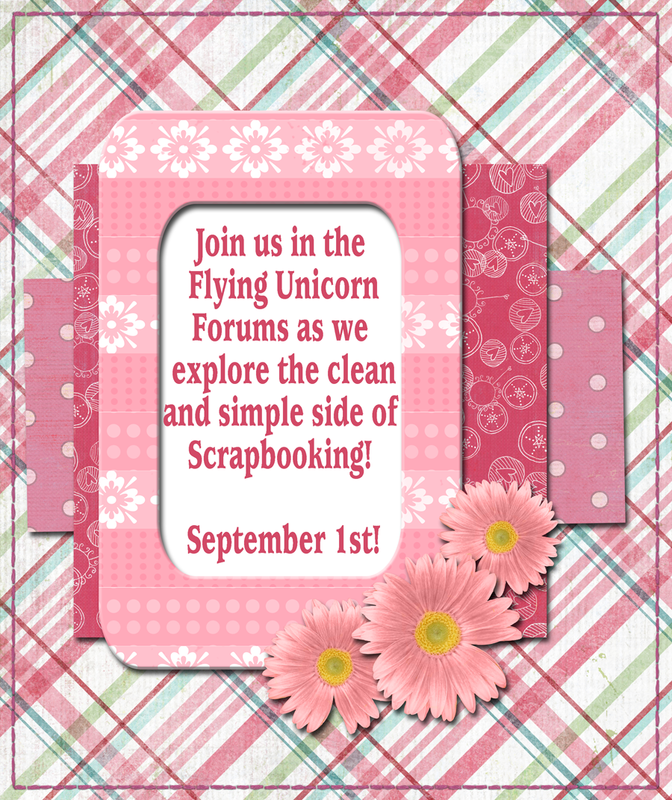 The Flying Unicorn is opening a new Forum, The Clean, Simple and Streamlined Side of Scrapbooking, and its debuting September 1st! Here we are going to explore "traditional" scrapbooking. We're going to focus on our precious pictures and memorable stories. We're even going to journal (gasp!). I hope you'll join us, debuting September 1st!